Iulia Pencea will take over from February 1st 2019 the management of Nielsen Romania, the largest market research company in the retail segment at local level. Julia replaces Luca De Nard, who was named as Market Leader of Nielsen Malaysia. From the new position, Iulia Pencea will play an important role in further growing Nielsen's business in Romania and, at the same time, in strengthening the company's good reputation in terms of quality of service, deliverables and customer advisory. Iulia Pencea has extensive experience in different industries and research methodologies, working in markets in Eastern Europe and the Middle East, where she has performed a number of strategic roles with ever-increasing leadership responsibilities. 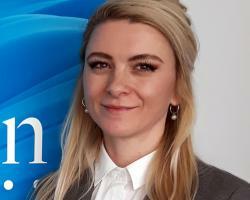 In the past two years, Iulia Pencea has held the position of Consumer Insights Leader for Romania, previously taking the role of manager of the team dedicated to a strategic client, regionally coordinated from the offices of Nielsen United Arab Emirates. Nielsen Romania reported a turnover of 37 million lei in 2017 and a profit of nearly 1 million lei, with an average of 212 employees, according to data reported to the Ministry of Finance. Globally, the company has operations in 100 countries that cover more than 90% of the world's population, providing a comprehensive understanding of what consumers view and buy.